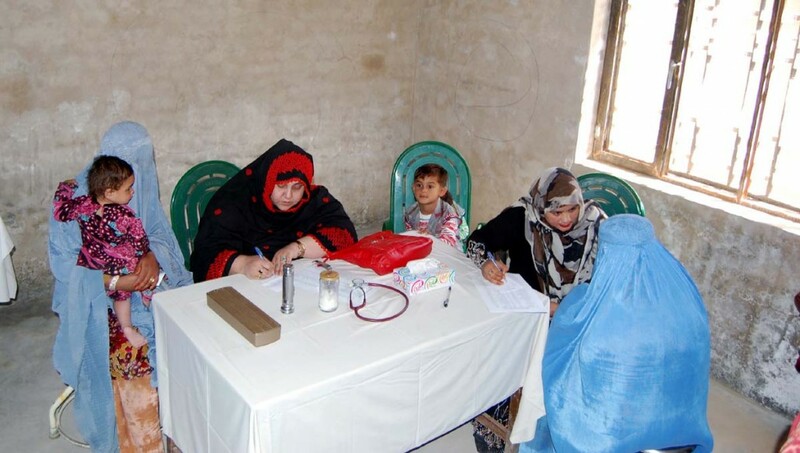 Lahore: Provincial metropolis of Punjab, Lahore has become a ray of hope for Afghan cancer patients as they feel that they can be cured in Lahore either free of cost or with nominal charges. Of cancer hospitals in Pakistan, 19 function under the Pakistan Atomic Energy Commission. In the private sector, Shaukat Khanum Memorial Cancer Hospital is the prime facility while in the public sector a few leading hospitals have specialized cancer departments. There is also a dearth of oncologists to cater to a nation of 180 million. Despite awareness campaigns, calls and an emergency situation, there is no cancer prevention or control plan at government level to cope with the disease. There is no budget or designated programme and accurate data available about cancer patients at federal and provincial levels. Talking to News Lens Pakistan, Dr Ghazanfar, an oncologist at the INMOL Cancer Hospital, said allied hospitals in Quetta and Peshawar have a majority of Afghan patients. Cancer disease, like other parts of the world, is steadily rearing its ugly head in Pakistan where every year roughly 80,000 people lose their lives to the disease. Ghazanfar said the number of cancer patients is steadily increasing and treatment is becoming more expensive. Most of the patients come from poor strata of society and they can’t bear the cost of treatment. He said INMOL hospital receives patients from all parts of the country. We admit all patients irrespective of the stage of disease and their financial position. About the high ratio of GI malignancy among male Afghans, he said it has mostly to do with their lifestyle. They excessively drink herbal tea (qahwa) and use naswar (snuff), a major cause of mouth cancer. Plus they see doctors only in case of extreme emergency. Replying to a question, he said there is no specific study or evidence available to establish a link between the decades-old war in Afghanistan and growing cancer among Afghans. We don’t have any study or research to establish that link. According to statistics of Peshawar’s Institute of Radiotherapy and Nuclear Medicine (IRNUM), the total number of cancer patients remains unknown, but relevant departments estimate it to be around 0.3 million in the country. Of the total, around 43,585 belong to Khyber-Pakhtunkhwa (KP), with 5,658 being registered in 2014 alone. These figures were revealed during a recent awareness session on cancer at IRNUM. The Shaukat Khanum Cancer Hospital has no data to back up the number of cancer patients in the country. Lahore’s Shaukat Khanum Cancer Hospital is the biggest non-profitable setup in the private sector. It meets its expenses mainly through donations and public charity. The hospital is known for its strict policy viz-a-viz admission and treatment of cancer patients. It only admits patients with curable stage of the disease. About patients in terminal stages, he said the hospital provides them only palliative treatment and then refers to public sector hospitals. Regarding the influx of Afghan and Pushtoon patients, he said they understand the hospital provides free cancer treatment. But the hospital has its own admission policy and it admits only those patients who can be cured of the disease. Others get palliative treatment and are referred to government hospitals. He denied the impression that the hospital is biased towards Afghans and Pushtuns and it gives a preference to them. He said a patient is a patient irrespective of one’s background. About language barrier, Nazir said the problem existed initially, but now the hospital has Pushtu-speaking doctors and paramedical staff. Replying to a question, he said the hospital has so far no data or study available to determine causes of a high incidence of cancer among Afghans and Pushtoons. Gul Bibi, an Afghan refugee in Khyber Pakhtunkhwa, was living a normal life with her husband and two children until she discovered she had breast cancer. Being illiterate and unaware, she first took a lump in her left breast as a routine matter. What took her to a local doctor was radiating pain in the lump. Initial tests diagnosed breast cancer. She was first referred to Institute of Radiotherapy and Nuclear Medicine (IRNM) in Peshawar from where she finally landed in Lahore’s INMOL Cancer Hospital where she had a mastectomy and is getting follow-up treatment. Gul Bibi is one of many Afghans refugees suffering from different types of cancer. Taking to News Lens Pakistan in broken Urdu (her mother tongue is Pushto) at the hospital, she said she is lucky to have received medical attention that saved her life. She said she and her family had suffered a lot in the process. Had there been no hospital support, she said her family could not have thought about treatment. Prior to this, she had no knowledge of the disease and its repercussions. She said she had learnt about the disease during treatment and now she realizes there must be many Afghan women who are ignorant of breast or other types of cancers. In the Shaukat Khanum Hospital, 13-year old Maryam, a leukemia survivor from Kabul, told News Lens Pakistan she is very happy to recover. She said all her treatment was free since her family could not bear the cost. The girl urged philanthropists to donate more so that other lives could be saved. An attendant of Zaman Khan having pancreatic cancer told News Lens Pakistan it was already too late when he (Zaman) discovered he had the disease. He said the disease is incurable right now and he visits the hospital for palliative treatment.